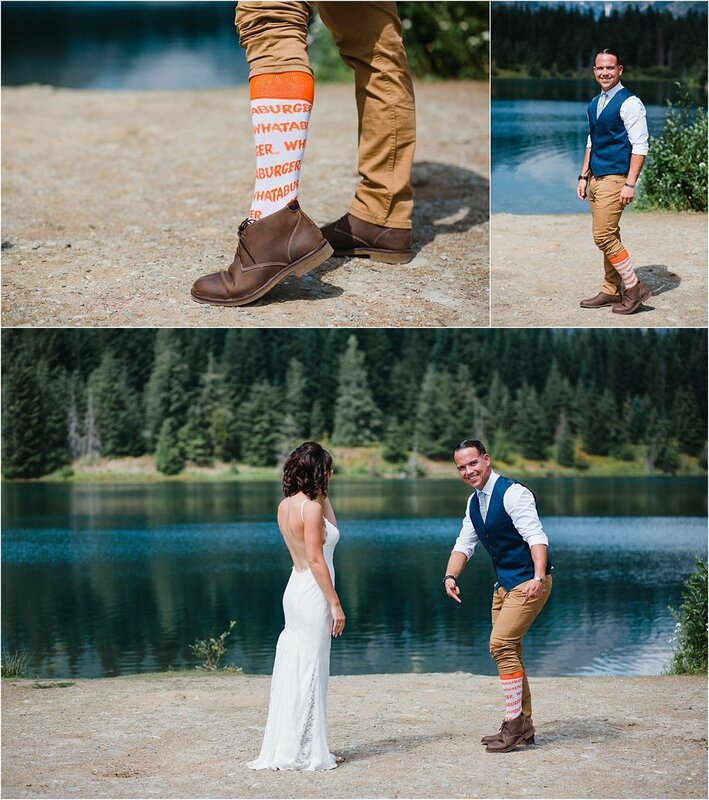 Kailey + Gary were originally married 10 years ago in a small informal ceremony. They were young and in love and ready to take on the world together - which took precedent to the wedding ceremony of their dreams. 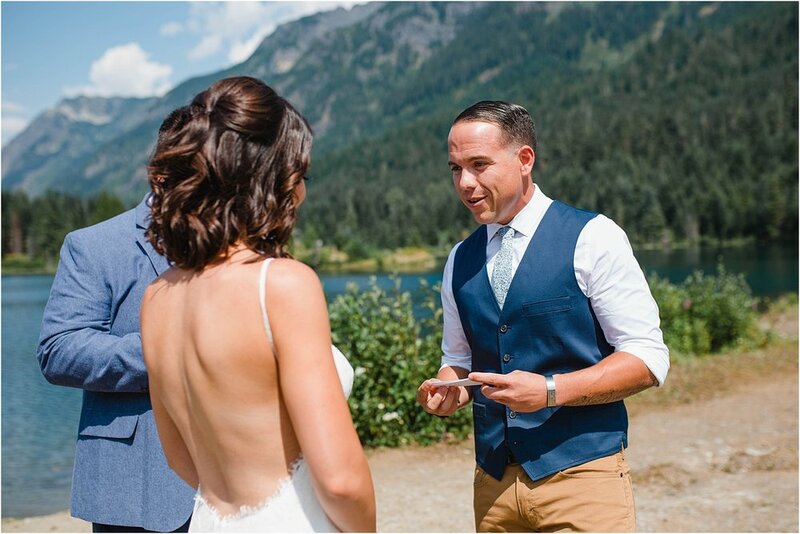 A decade later, they got to live their dream and renewal their marriage vows surrounded by the mountains and forest of Washington State. 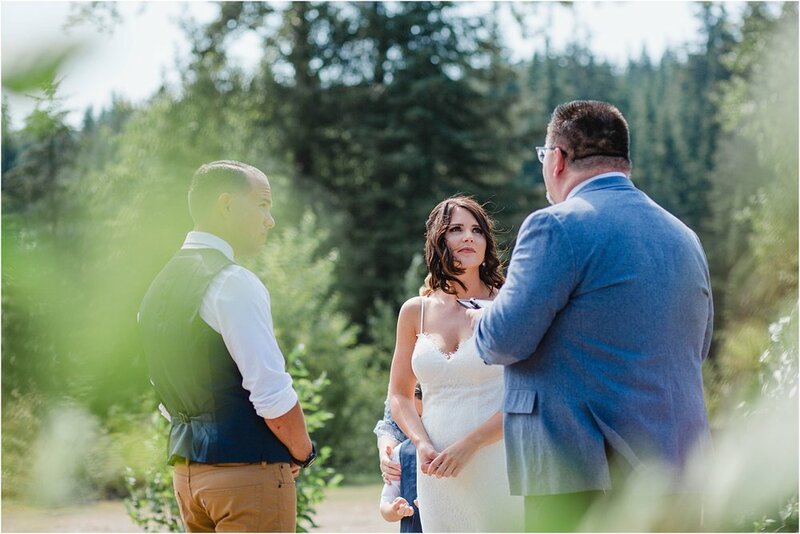 Gary serves in the U.S. Army and is currently stationed in Texas, but Kailey + Gary knew that they wanted to renew their vows near JBLM, since they were originally married here and it holds a special place in their hearts. Thanks to a referral from a mutual friend (Erika, you're the best <3), this beautiful couple contacted me and we begin to piece together this stunning vow renewal. After several location scouting trips and much back and forth correspondence we decided on Gold Creek Pond (for obvious reasons.) As months passed, Kailey found the perfect dress, Hair and Makeup was booked with the lovely Bethany Yackel Beauty, vows of love and support were written and plane tickets were purchased. 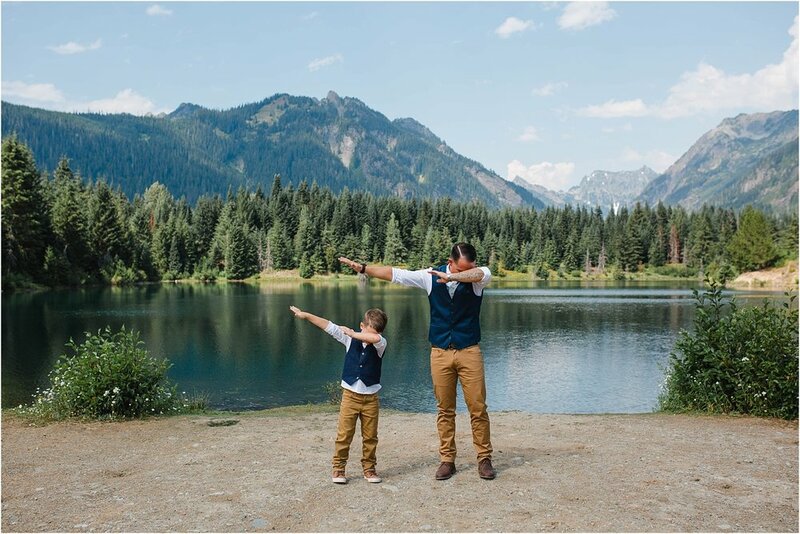 Kailey, Gary, their son and Kailey's parents flew from Texas to Washington with a vow renewal and then much needed vacation on their minds. Reports of rain lingered on the weather report and we all experienced a roller coaster ride of nerves and emotions due to it. 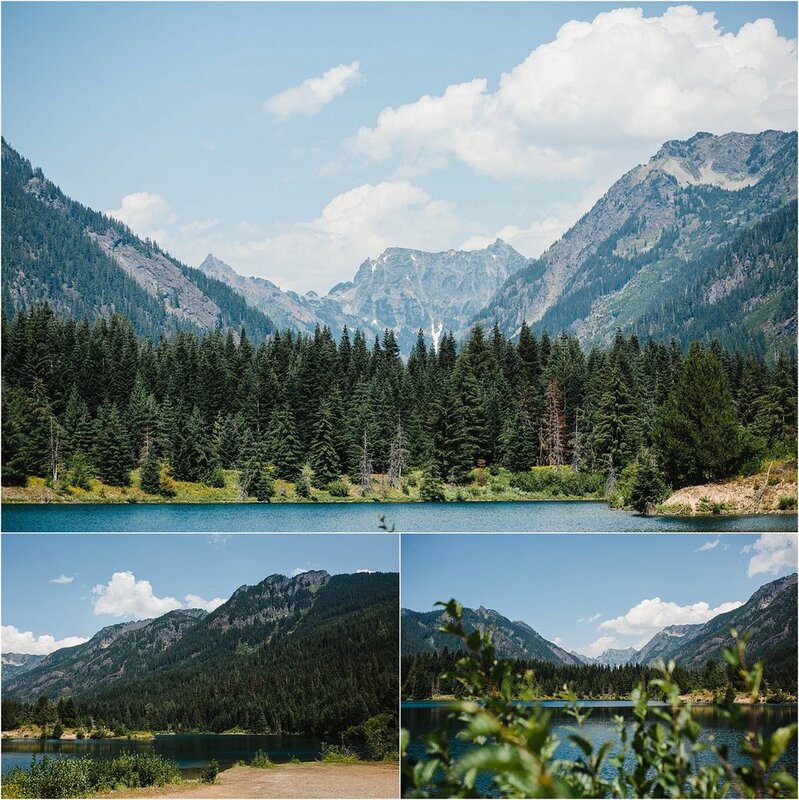 Finally, the day before the vow renewal, Mother Nature decided on an accurate forecast and warmth and sun were waiting for us when we arrived at Gold Creek Pond. Talk about the perfect combination of PNWesty (I need to copyright this word) scenery + amazing couple + perfect weather + a twist of adventure and storytelling. I heart this more than words can express. Congrats to Kailey + Gary on your 10 year vow renewal! I'm so grateful you chose me to document it. Can you picture you and your love in these images? If you're considering an intimate wedding ceremony, vow renewal or elopement contact me today to start planning!